Hey, coulda been much worse. Your folks coulda been married eight months !!!! Another winner. Keep this stuff up…for at least a year. Talk about weathering the storm. Everywhere you go you always take the weather with you. 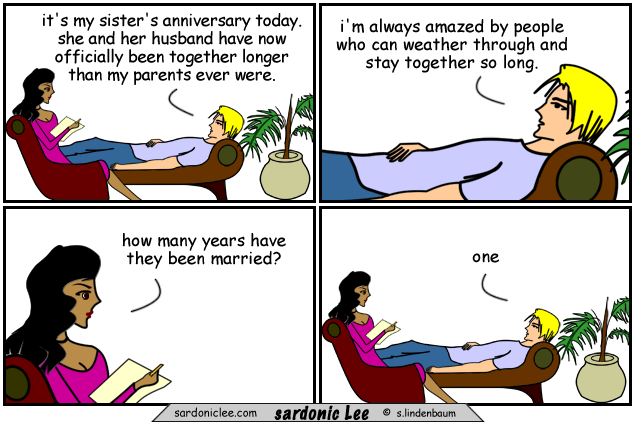 if your parents were together less than one year, you know what that would make sardonic lee.